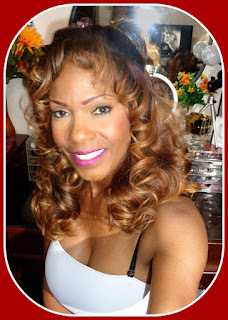 One of the benefits of an over 50's lifestyle and beauty blogger is that you become very appealing to certain companies that probably wouldn't be appealing to the younger generation. You also start to receive products that the younger generation probably wouldn't want to try. With that said, I received this wonderful addition to my already growing collection of back pain paraphernalia. I took the liberty of writing to BackJoy and asking if I could review their product. As many of you know, I fell of my bike while riding at the beach with my husband on Mother's Day... of all days. I injured a few things and one of them was my lower spine. So now I've been busy collecting all sorts of interesting object to make my life a little easier. 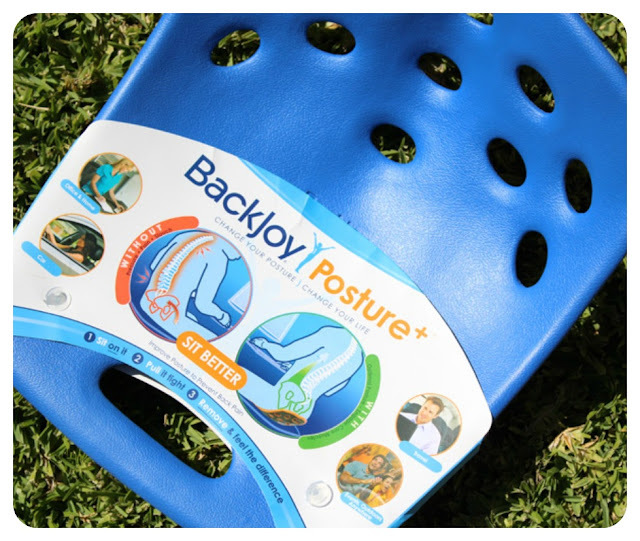 BackJoy is an innovative design created to relieve the pressures and strains that cause back pain and makes sitting more comfortable. 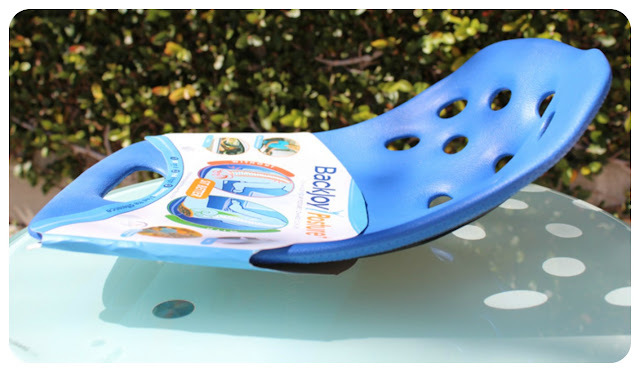 It is made with a hard durable plastic that has been molded into the shape of a half moon as you can see in the photos. There's breathable suction holes at the top and bottom and also a handle for easy carry and transport. The backJoy comes with a foldout pamphlet that is secured underneath the outer package cover, once you remove the cover, you will see it. 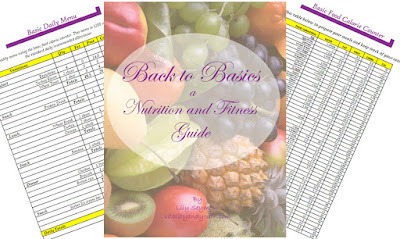 The pamphlet has a complete set of instructions for you to follow along with a FAQ section. It also comes with instructions to register your BackJoy and take advantage of their warranty. 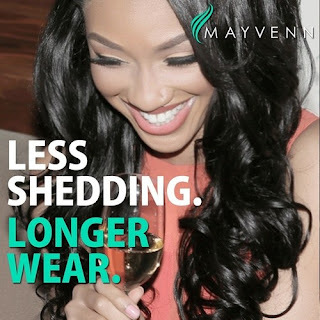 Click here to find out more about this product here! Sitting - I used my BackJoy most of the time sitting at my desk. It has become very painful for me sitting for long periods of time and every 15 mins I would have to get up and stretch. It took a little time for me to adjust to sitting with the BackJoy Posture. At first I couldn't get comfortable enough to use it because the hard surface of the BackJoy irritated my lower spine. Now with that said, I could sit in it for extended periods if I used a tiny pillow on top of it. 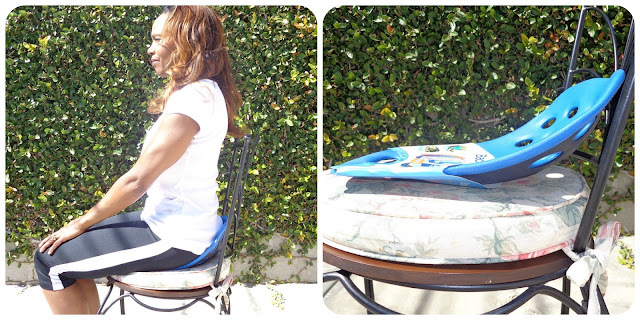 I have several seat cushions that I've come to love that doesn't put pressure on my lower spine. These all have cutouts right in the middle to relieve the pressure where the lower spine would normally touch the seat. 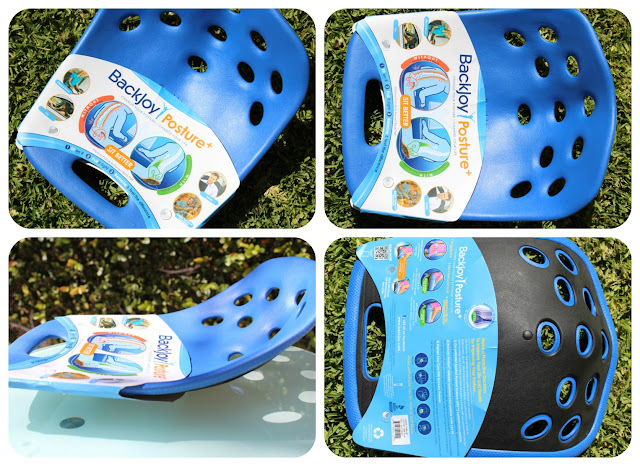 Driving - I used my BackJoy on several occasions while driving. I really wanted to see how it would work for me. I'm happy to say it worked perfectly as long as I had my tiny little pillow right there where the spine would touch. 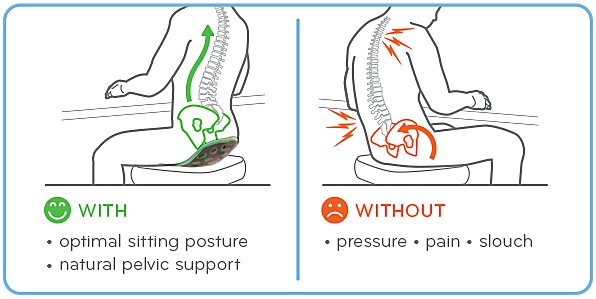 In my car, I also have a back cushion that support my lower lumbar and the curvature. With the two of them together, I could drive all day and not have any lower back pain. 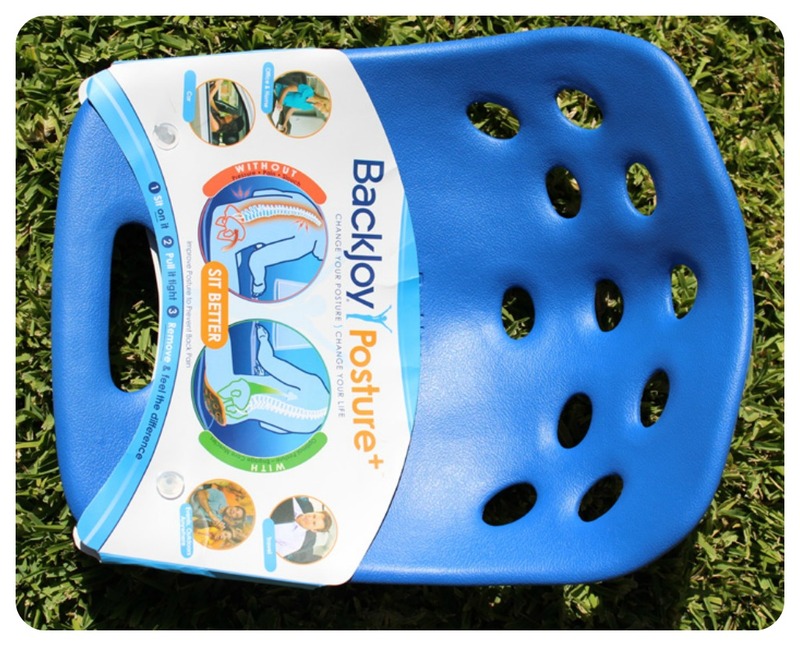 I couldn't at any time use the BackJoy without my little pillow positioned right underneath my tailbone. 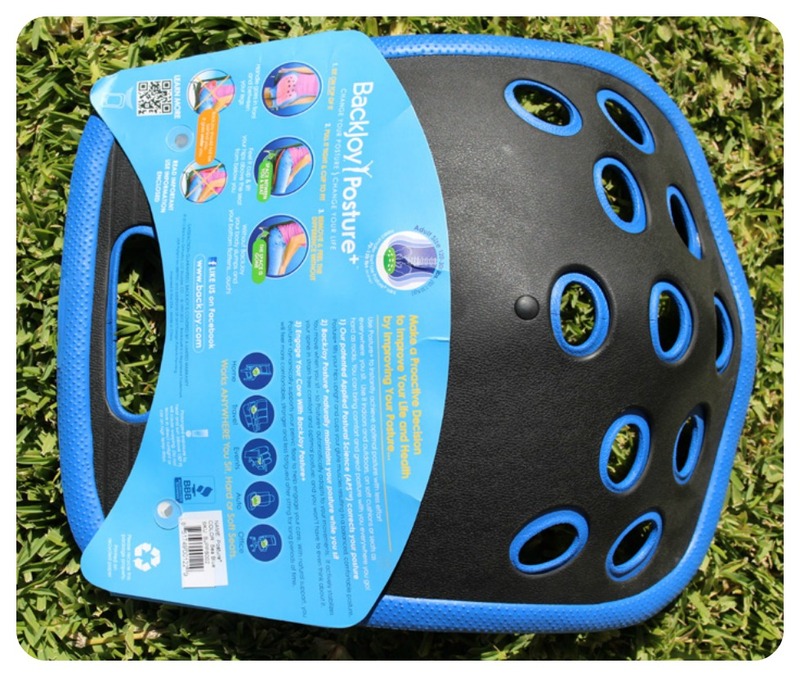 I would like to see one made with a cutout or opening right at the point of impact, I believe this would definitely relieve the pressure off the tailbone that is caused by hard surfaces.